As in previous years, the Special Offering on Christmas Eve will be donated to Aberlour - Scotland's Children's Charity and to the Kirkcaldy and District Branch of the Samaritans. Your financial support will once again be very much appreciated. The service starts at 11.30pm with carol singing from 11.15pm. Update: The sum of £22.39 was raised from the special offering. The November 2014 newsletter has been published and is now available on the Newsletters page. The Flower List for 2015 is now in the vestibule of the Church. If you wish to provide flowers for the Sanctuary, please write your name against the appropriate Sunday(s). For further details, please speak to Senga Booth. If you wish to have a poinsettia(s) in the Church for a friend or in memory of a loved one, please put your name on the Poinsettia List in the vestibule of the Church by Sunday 7th December. These plants will decorate the Church on Sundays 14 and 21 December. After the Service on 21 December you can take the plants home. The cost of a plant will probably be £5 and these are large plants. Payment should be made to Senga Booth. The Service on Sunday 7th December is our Gift Service to support the work of the Salvation Army in Kirkcaldy. Please bring a gift or a toy for a child up to 15 years of age. All gifts must be new and unwrapped, and will be distributed to the needy in the District. No clothes please. The November 2014 newsletter is now available from our missionary partner Jenny Featherstone in Zambia. This year we are hosting a Christmas Afternoon Tea on Saturday 22nd November. Stalls include cake and candy, toiletries, tombola, books, together with a raffle. Tickets are £3. Any contributions will be very much appreciated and can be handed in to the hall on Saturday morning from 9 a.m. Tickets and further information from Irene Wood, Mary Stark and Christine Low. Thank you very much to everyone who filled a shoebox and also to those who gave a donation. Thanks also go to everyone who helped in any way with this appeal by covering boxes, loading boxes onto the lorry and just being there to help. The response was wonderful with 92 boxes from the church and 30 boxes from the children of Dunnikier Primary School and Nursery. There was a lovely service at Templehall Church with schoolchildren from Capshard and Valley Primary schools attending the service along with people from other churches. Our boxes are going to the Ukraine and will soon be on their way to bring joy, smiles and laughter to people in poverty who would otherwise not receive anything at Christmas. Thank you all for being part of it. The Walkers next walk will take place on Sunday 9th November leaving from church at the usual time, 12.45pm. The Michael Bruce Way starts and finishes at Scotlandwell and stout footwaer and walking poles are recommended. This is a lovely walk over a mixture of paths and tracks with some gentle ascents. All are welcome. The amount raised to date is £2,655 including £450 recoverable in tax. The Finance Team is again very grateful for your continued support in sustaining and developing our ministry at Bennochy Church. Again, it is never too late to donate. If you still wish to contribute, please put your donation in the offering plate in an envelope marked "Gift Day" when next at Church, or hand it to the Treasurer or your district elder. The special collections for KART over the year amounted to £906.70. Your financial support is very much appreciated. The special collection for Poppyscotland on Remembrance Sunday amounted to £331.65. Please bring your filled shoebox to church next Sunday (2nd November) as the boxes are being uplifted from the church on Thursday, 6th November and taken by lorry to Templehall Church which is the collection point for the Kirkcaldy area. A short service for school children and adults will take place there at 2 p.m. before the boxes are loaded onto the lorry ready to start their journey to someone in need in time for Christmas. All are welcome to attend the service which will last for approx. 30 minutes. This year the boxes will be distributed to Albania, Bulgaria, Hungary, Romania and several countries where there is a lot of poverty. Thank you for filling a shoebox and we hope that you enjoyed doing so. The Walkers next walk will take place on Sunday 19th October leaving from church at the usual time, 12.45pm. Walking poles and boots recommended as there is a short but steep incline and it could be muddy underfoot. Approx 5 miles. Venue for refreshments tba. Carol and Janet from Linktown Church will lead this walk. All are welcome. The October 2014 newsletter has been published and is now available on the Newsletters page. The Women’s Group are hosting a Family Quiz Night on Saturday 25th October at 6.30 pm. Tickets, £5 adults & £2 children, available from Group members. Come along and enjoy a fun night for all the family with prizes, raffle and delicious dessert supper. Our annual Gift Day is on Saturday 18th October from 10am until 12 noon. You are invited to come along to the Methven Hall and, if possible, stay for refreshments. A letter from the Finance Team giving further details will be delivered to you by your District Elder or may be obtained in the vestibule of the Church from the 5th October. The Walkers next walk will take place on Sunday 28th September leaving from church at the usual time, 12.45pm. We'll head for Balbirnie Park and Markinch. There will be woodland paths with some steep parts, could be slippy if it's wet. There should be some lovely autumn colours. Refreshments to be arranged. All are welcome. And don't forget the 'twice round the park' walks at 4.15 on Wednesdays, meeting at the snack van, Beveridge Park. There will be a coffee morning on Friday 26th September from 2pm to 4pm. This is to aid work of Macmillan Cancer Care. Cakes will be a major feature and tickets are available now, priced £2.50. Do you remember the two boxes that arrived from Zambia? - one in rosewood, one in mukwa, both local hardwoods. These boxes will be used on Harvest Sunday, 21st September, one in the church, one in the Methven Hall to receive any donation you may care to give. This will be so much appreciated when sent out to our Mission Partner, Jenny Featherstone. It will be designated for continuing support of a vulnerable student for payment of education fees at Chodort College where Jenny is Head Teacher. Blythswood Shoebox Appeal celebrates 21 years this year. Covered boxes with instruction leaflets inside are now available in the church vestibule and the Methven Hall. By filling a shoebox with simple gifts means you can bring joy and laughter to someone this Christmas. The shoeboxes are being uplifted from the church on Thursday, 6th November so please bring your filled box to church on Sunday, 2nd November. If this date is not suitable then you can bring your box to church on the Sunday nearest to 2nd November. Fife Elderly Forum Executive is a Voluntary Sector Advice & Information Agency dealing with older peoples issues. They provide information and advice on issues which affect older people and their relatives and also provide a professional independent advocacy service. A Fun and games day with food is being held in the Church gardens on Saturday 6th September. There will be a visit from the local MSP, David Torrance to open the new internet café. The Walkers next walk will take place on Sunday 17th August leaving from church at the usual time, 12.45pm. We'll head for Hill of Tarvit mansion house and from there a circular walk, approx 5 miles, passing through the village of Ceres. The terrain is a mixture of country tracks, field edges and country road. Sturdy footwear and walking poles are recommended. The Guild are proposing to have a Fish Supper Night in the Elgin Hall on Monday 4th August at 6.45pm. Any guild members interested please give names to Wilma Wright. The June 2014 newsletter is now available from our missionary partner Jenny Featherstone in Zambia. Please join us as the town centre churches come together for worship and fellowship this summer. Note that Bennochy Church is closed on the Sundays where the united service is held elsewhere. There will be a Special Offering taken during the Service on 22nd June for KART (Kirkcaldy Area Reachout Trust). 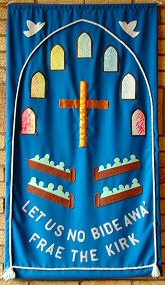 The aim of KART is to advance the Christian religion among school children in the Kirkcaldy Area. The beneficiaries of the work of KART are the children – children in schools, at SU groups, in churches and youth groups. The children have great fun, but it also shows that young people from various schools are interested in actively learning about faith. KART would love to see these children having the support and friendship of Christians at local churches and pray that churches are encouraged to start something new for teenagers. Update: The Special offering for KART amounted to £316.19. Your continued financial support and prayers for the good work of KART are greatly appreciated. The June 2014 newsletter has been published and is now available on the Newsletters page. Sincere thanks to those who helped with the Christian Aid lunch, to our members who collected and counted the money and to those who generously supported this most worthy cause. Your efforts will provide much needed help to those who live in poverty. Thank you for being part of it. The Mission & Discipleship Committee and Presbytery have supported the idea of a Prayer Pilgrimage involving all the places of worship in the Presbytery. Bennochy church has been asked to support this at the second stage, where members of Templehall church will travel to Bennochy for 11 am on Saturday 7th June. After 30 minutes of prayer, both groups will then travel to St Bryce Kirk. These pilgrimages will be repeated throughout the Presbytery, so that everyone will arrive at St Bryce Kirk for 12 noon, for a time of prayer and worship. The Moderator of Presbytery, Myra Deas, will be there and will give a message / prayer to be carried back to every church for the Sunday morning - which is Pentecost Sunday. George Luke, Presbytery prayer coordinator will supply material for a Prayer Walk in / around your church and grounds but of is also happy for people to use any material of their own or pick up on relevant prayer topics if that is more appropriate. At lunch time, there will an opportunity for folk to mingle and chat. Tea and coffee will be provided but since numbers for catering purposes will be difficult to predict, it would be better for people to bring a packed lunch. There will be a pilgrimage to Inchcolm on Sunday 29th June in the afternoon from Aberdour. Kinghorn Parish Church is joining forces with St Peter’s Episcopal Church, Kirkcaldy to go on the Forth Belle from Aberdour to Inchcolm for a Service and Picnic. The cost of the boat will be approx. £6 and the landing fee (Historic Scotland) will be: Adult £5.50; Child £3.30; Conc £4.40 or free if you are a member of Historic Scotland. The boat has disabled access and there is a short walk from the boat to the Abbey on a gravel path. It couldn’t be easier to join us! Contact Jim Reid or Anne Robertson for details and tickets. A very big thank you to all who supported the Soup and Sweet Lunch, by giving a donation or by buying a ticket. We hope that you enjoyed the food and also the fellowship. The Lunch Team also did a great job and thank you all very much for your hard work and time - we enjoyed ourselves as well! Thank you to the tablet and jam makers - everything disappeared very quickly! The amount raised at the Lunch for Christian Aid was £467.18. A successful day for a very good cause. Christian Aid Collectors - I hope that the weather was kind to you as you delivered and collected the Christian Aid Envelopes around the parish and beyond. Totals will be given when all of the envelopes are received and the money counted. Thank you very much for your help. Special Offering for Christian Aid - The amount raised was £273.89. During May and June pupils from Dunnikier Primary School are visiting the café, one class at 10.30am and another at 2pm. This means we need to bake 60 extra cupcakes each week. Anyone who is able to spare time between 12 noon and 2.30pm each Wednesday is welcome to come along and bake their favourite cake. Please speak with Dianne if you can help. The Walkers next walk is around Almondell Country Park, West Lothian, on Saturday, 10th May, leaving from the Church at 10.30am. by car. The walk is on good woodland paths and minor roads and is 3.75 miles. Refreshment will be taken at Craigies Farm, South Queensferry, following the walk. Further information from Christine/Charlie Low on 01592 262989. Our annual bereavement service will take place on Sunday 18th May at 3pm in the Church, inviting all family and friends connected with Bennochy Church, our parish or whose funeral has been conducted by our minister over the past year. Since Christmas 2013, over a thousand mouths have been fed thanks to the generosity of individuals, groups and businesses in Kirkcaldy. 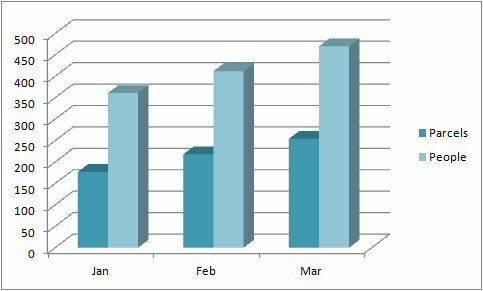 In January the Foodbank made up and distributed 177 food parcels to feed 361 people, in February there were 218, feeding 412 people and March saw the total rise to 254 food parcels to feed 470 people. Your donations are vital to this work. Thank you. This eight week course is run as a partnership between Bennochy Parish Church and St Bryce Kirk. It takes place in St Bryce Kirk Centre, commencing on Tuesday 22nd April. The course is free and will be led by Robin or Ken (or both) with thinking on several topics. The course gives you the opportunity to ask questions and discuss the topics in small groups. Please see Robin for further details. There will be a Soup and Sweet Lunch straight after the service on Sunday 11th May with all proceeds going to Christian Aid. Please put this date in your diary and enjoy the company and the food whilst also supporting a good cause. Tickets £4 adults and £2 children will be available soon. The Walkers next walk is on Sunday 13th April leaving the church at the later time of 1.30pm. The walk, led by Carol, is roughly 4.5 miles and will take place around Cupar. There will be some road walking. The Taekwondo Club would like to thank everyone who helped in some way towards their 10th anniversary celebrations. They raised £1,070 for the Taekwondo-athon and the Ceilidh was a great night. Everyone really enjoyed themselves. The ladies of the Women's Group invite you to their annual 'Bunny Drive' on Tuesday 8th April at 6.30 pm. Tickets - adults £4 and children £2 - available from Group members. Why don't you come along with friends and family to the Methven Hall and enjoy an evening of fun and excitement for all ages with supper, prizes and raffle too. Chris Beattie, who spoke at one of our Services last year, is the KART Youth Worker and the only paid employee of KART. Everyone else associated with KART is a volunteer. KART's budget for 2013/2014 is income in the region of £36,765 and expenditure of £39,915 and they will have to use their reserves to fund the deficit. The beneficiaries of KART are the children. The children have great fun, but it also shows that young people are interested in actively learning about faith. Please continue to pray and financially support the good work of KART. Bob Purdie is hoping to organise a visit from churches in and around Kirkcaldy to Belfast and the Corrymeela Community Centre at Ballycastle. Update (6th April): Unfortunately this visit has had to be cancelled due to insufficient numbers. The Walkers next walk is on Sunday 16th March leaving the church at the normal time of 12.45pm. The walk will cover part of the Union Canal, then through the town and round the loch. All welcome. Contact Christine/Charlie Low on 01592 262989 if you need further information. This Year's World Day of Prayer Service has been written by Christian Women of Egypt. The theme is "Streams in the desert". Services are to be held on Friday 7th March in the following Churches, Templehall Church at 11am., Whytescauseway Baptist Church at 2pm. and Pathhead Church at 7pm. ARE YOU ELIGIBLE FOR A FREE TV LICENCE? TV Licensing is working with Bennochy Parish Church to remind older TV Licence holders they will be entitled to a free TV Licence on their 75th birthday. Anyone aged 75 or over is eligible for a free TV Licence for their main address. Eligible people can register online at www.tvlicensing.co.uk/over75 or by calling 0300 790 6073. The free licence will cover all the equipment in the property, meaning family or carers living in the same home could also benefit. Applying for a free licence is simple and, once you have one, TV Licensing will send a new licence once every three years, cutting down on excess paperwork. The free licence is not granted automatically so anybody who becomes eligible needs to make sure they remember to apply by getting in touch with TV Licensing directly. Customers with a free TV Licence are reminded to contact TV Licensing if there is a change to their name, address or telephone details. The February 2014 newsletter is now available from our missionary partner Jenny Featherstone in Zambia. It also includes an update on the student we are supporting on the carpentry course. Kirkcaldy Presbytery is encouraging us to promote the work of Crossreach and one way of doing this is is through prayer. The link to the prayer diary pages for Crossreach is here and click on prayer letter. More information in the March Newsletter. The Women’s Group propose to visit Stuarts the Bakers Head Office Bakery at Harbour View, Methil (next to East Fife football stadium) on Tuesday 4th March at 6.45 p.m. The minimum number of persons required for a visit is 24. There are only 15 group members going and the ladies invite members of the congregation and friends (men & women) to come along and enjoy ‘hands on’ preparation of baking, cake decoration, pie making, etc. After the demonstration visitors will be served tea and coffee and get a sample of their fresh goodies. There is a charge of £5 each to be paid on the night. Every person will be given a £5 voucher from Stuarts on the night of the visit. Please contact Elsie Faulds (202955) or Irene Wood (267995) before Monday 3rd March if interested and for travel arrangements. The March 2014 newsletter has been published and is now available on the Newsletters page. We plan to hold a series of five meetings looking at the theme of Build on the Rock. If you are interested please let the minister know your availability. The first meeting is planned for the week beginning 10th March. Update: The meetings will start on Monday 10th March at 2.30pm in the Prayer Room and run for 5 weeks. All welcome to attend any of all of these events. The Walkers next walk is on Sunday 23rd February leaving the church at the normal time of 12.45pm. We will park at the Green car park and walk round North Glenrothes, the town parks and then back to the cars at Leslie. Our tea/coffee stop will be at the Balgeddie Hotel. All welcome. Our Guides are collecting Sainsburys’ Active Kids vouchers. If anyone has any vouchers they do not require they can be left in the box on the stage in the Methven Hall. These would be much appreciated. Collecting the vouchers has the aim to help young people of all ages and abilities lead healthier, more active lifestyles whilst having fun. Collect Active Kids vouchers when you shop at Sainsbury's until 20th May 2014. The Guides can then redeem them for sports equipment, experiences, and much much more. The newsletter will also be available via the Newsletters page. The presbytery-wide Celebrate and Discover Day is back for 2014 with this second event being held held on Saturday 22nd March in Kirkcaldy High School. Bennochy church will be participating with a display. However, there is a requirement for volunteers to be stewards and mini bus drivers for the day. There is also an opportunity for singers to be part of a massed choir or musicians to participate in the praise band as part of the closing worship of the day. If you are able to assist with any of the above please speak to George Drummond. Senga Booth, again with lots of help from friends from Bennochy Church, is holding a Tea Afternoon – Sponges or Scones - in the Methven Hall from 2pm to 4pm on Friday 21 February for the Royal National Lifeboat Institution SOS Day. Please come along and sample our scones and sponges (SOS). We will again be delighted to see you. There will also be a cake and candy stall. Tickets are now available from Senga, Grace or Nan Hazel. All proceeds will go to the Kirkcaldy Branch of the RNLI. Tea tickets are £3. A letter has been received from Aberlour Child Care Trust thanking the congregation of Bennochy for their recent donation of £106.10. Aberlour support over 6000 of Scotland’s most disadvantaged and vulnerable children and young people every year and have more than 40 projects in local communities throughout Scotland. Our contribution towards this work is much appreciated. The Walkers next walk is on Sunday 2nd February leaving from the Church at 12.30pm. Firstly by car, to Abercorn Church in West Lothian. A 30 minute drive just over the Forth Road Bridge. The round trip to Blackness is 4 miles and is mainly flat, using woodland path, pavement and grassland. It is anticipated that in some areas the going will be soft/muddy. All welcome. The Taekwondo Club are celebrating their 10th anniversary this year with a 24hr Taekwondo Event starting at 10am on Friday 14th February followed by a Ceilidh and Buffet on Saturday 22nd February. Sponsor sheets for the 24hr event and tickets for the Ceilidh are available from Lorraine Fairful. A letter has been received from the steering group of the Kirkcaldy Foodbank thanking the congregation of Bennochy for their generous donations of food, which helped the Foodbank get off to a good start. Our continued support is very much appreciated. If anyone wishes to donate food items from the list (available in the hall), they can be brought to church on Sunday mornings (please place in the box on the stage in the Methven Hall) or from 10.30am to 12 noon on a Thursday when the Olive Branch Café is open. The Walkers next walk is on Sunday 12th January leaving from the Church at 12.45am. A 4 mile circular walk is planned starting and finishing at Kirkcaldy Health Centre and will include the Mid Den, skirting Dunnikier Estate and Golf Club and stopping for refreshments at Dunnikier House. The paths and tracks are quite wet and muddy so walking poles and sturdy footwear are recommended. All are welcome.